Lia Yeranosyan was born in 1999, in Armenia. She represents now the fourth generation of musicians in the family. At the age of two, she moved to Porto, Portugal with her parents, who started to play in the Orquestra Sinfónica do Porto Casa Da Música. When she was four years old , she started to learn the violin with her mother. In 2005 she started to study at Conservatório de Música do Porto with Magda Wierzba and later, until 2017, with Tatiana Afanasieva. Since she was seven, she has participated in different competitions, like “ Cidade do Fundão” “Elisa Pedroso”, “ Paços Premium”. In 2016 she won the first prize of the prestigious Prémio Jovens Músicos Competition and in 2017 a national competition CJ.COM. She attended masterclasses with Benjamin Schmid, Jack Liebeck, Felix Andriesky, Sergey Kravchenko, Sergey Aroutunyan, Zófia Woycicka, Marta Eufrázio and Latica Honda-Rosenberg. Lia also played in national orchestras like the National Youth Orchestra in which she was the concertmaster, Atlantic Coast Orchestra, Orquestra XXI. In 2016 she played as a soloist with the Calouste Gulbenkian Foundation Orchestra, as a part of the Prémio Jovens Músicos prize. She was also a soloist in the “Festival de Música de Setúbal” and in the Conservatório de Musica do Porto Orchestra. 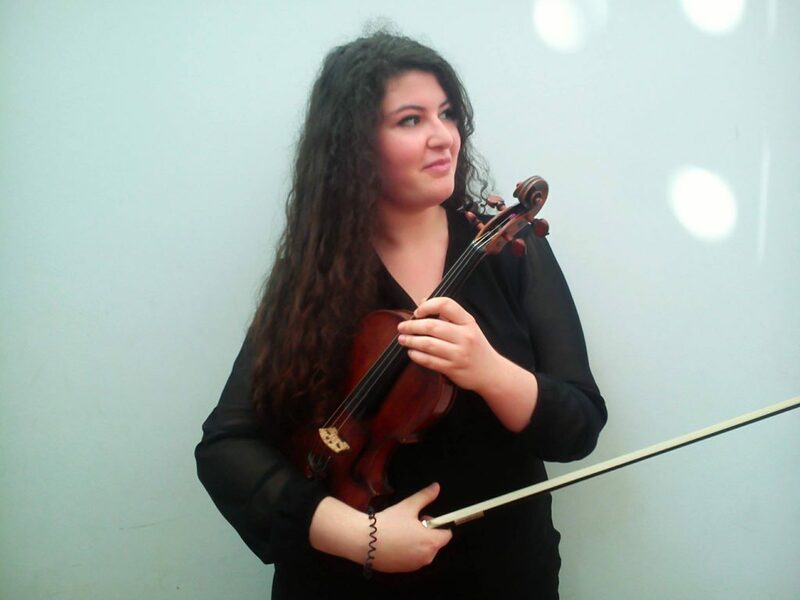 Lia was selected in 2017 to take part in the EUYO orchestra on the Summer Tour, playing with the maestro Vasily Petrencko. On the same summer she took part in the master class Epoche_f goes Europe with Ensemble Modern, project organised in collaboration with EMCY. In October 2017 she begins her studies in the Hochschule für Musik und Darstellende Kunst Manheim with the professor Marco Rizzi. If you are interested in working with Lia, please get in touch with the EMCY Office.